Major props to Clare Waight Keller for consistently churning out good-looking Givenchy bags that don’t exactly break the bank while holding the appointment of Artistic Director of the French luxury house. You saw the Cross3, and the GV Pouch previously, which both came in full leather and furnished with that cool chain detailing priced at SGD1590 and SGD690 respectively. 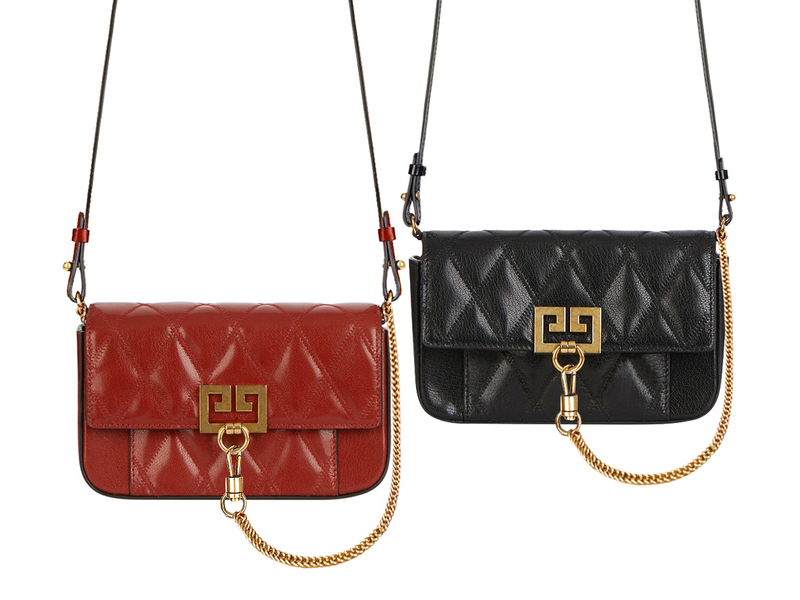 And then there’s the Mini Pocket Bag in diamond quilted leather, one that comes under an entirely new sub-category coined Givenchy Quilting. Essentially a mini bag that measures 18 cm across and 10 cm high, with an exterior that comes in an interesting diamond-patterned quilted leather. The other beauty of the Mini Pocket Bag? That lies in its ability to be worn in a multitude of ways. One, sling the long removable leather shoulder strap off the shoulder or across the body to keep your hands free for all the selfies. Next, you see that chain link strap that’s attached to the Double G antique gold-finished hardware? Well, you can unhook that and attach it over to the other side of the bag to carry it like a chic handbag for evening dinners and the like. The third way is looping said chain strap twice so the bag hangs off like a chic wristlet pouch – perfect for grabbing a quick lunch or a trip to the supermarket. The fourth? Well, you can slip any 3 cm (width) belt through the slip pockets at the back and wear the Mini Pocket Bag like a trendy belt bag. Best of all, for a truly functional designer bag that’s made of full leather and priced at SGD1550, it’s a steal considering how much designer bags are priced in this day and age. Available in Black, Eggplant, Terracotta and White, the Mini Pocket Bag is now available at Givenchy boutiques at Marina Bay Sands and Paragon Shopping Centre.